This is the second post of minerals I photographed at the InnSuites show in Tucson of new mineral finds and recently mined specimens. In general, dealers set up in the same hotel rooms as in previous years. 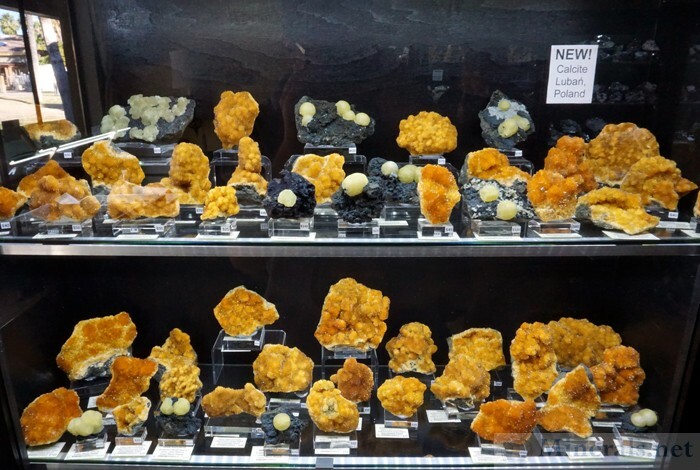 After coming year after year, one gets to know the lay of the land, and where to find each dealer. 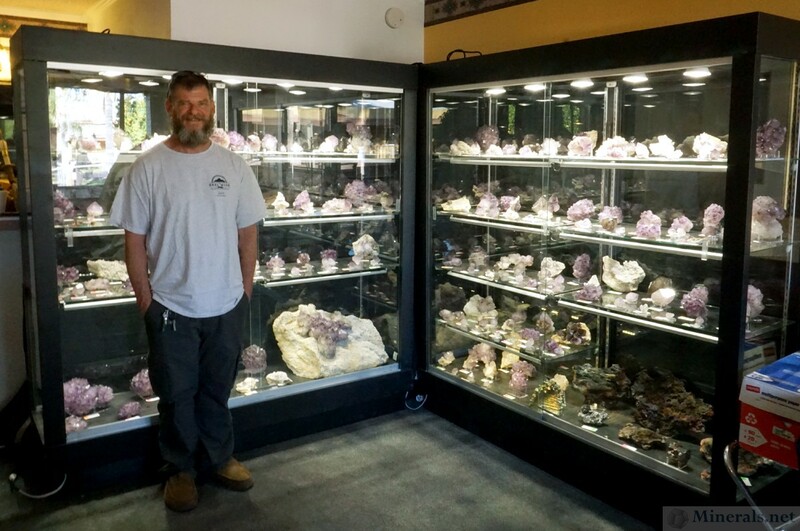 It's always nice to find new dealers at this show. 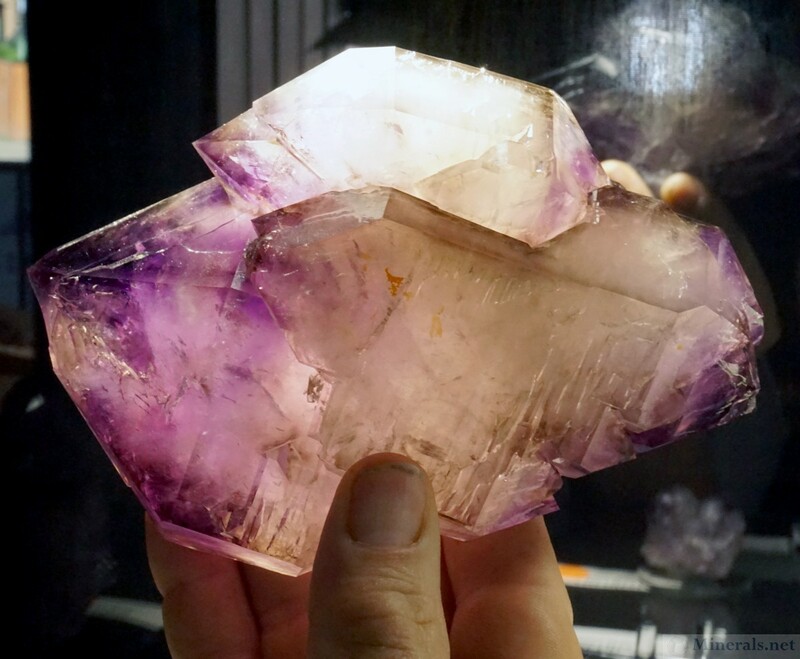 This year featured the introduction of Michael Walter of Geologic Desires, from Upstate New York, and James Hall, of the Reel Mine in North Carolina, with his new Amethyst Mine. 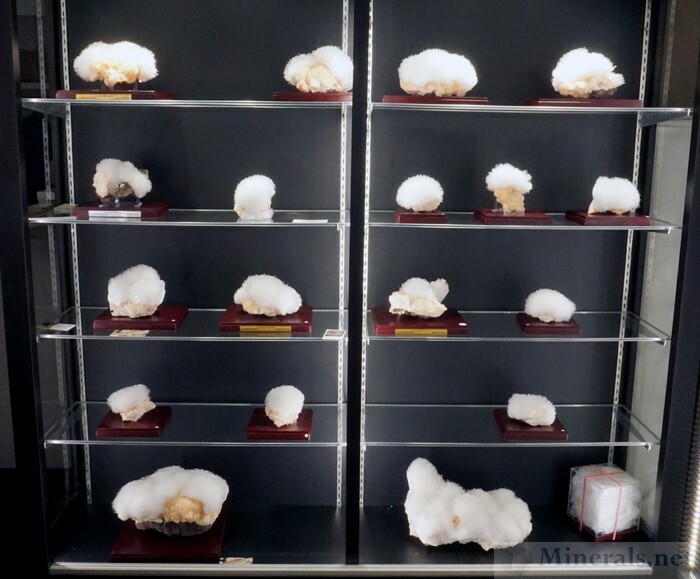 Display of Scolecite from Rankhamb Village, Sakur, India. 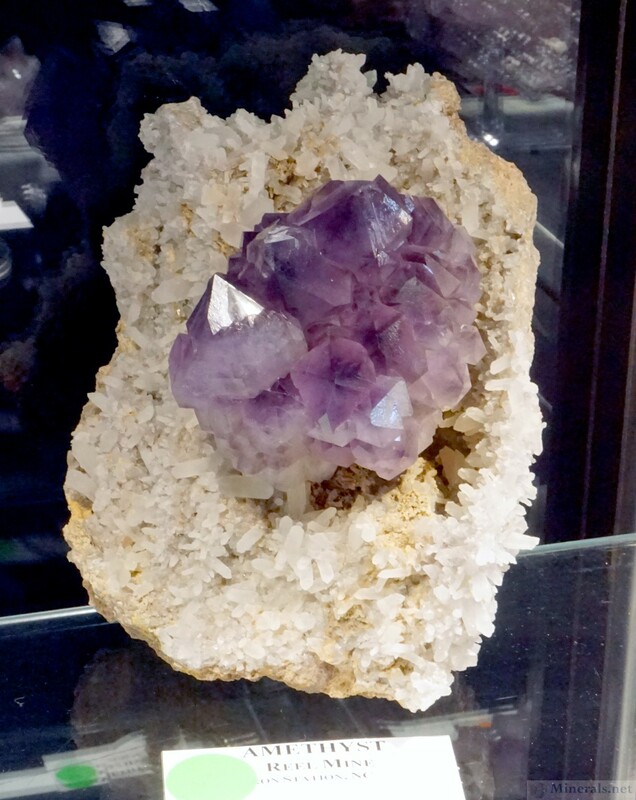 April 2017 Find. 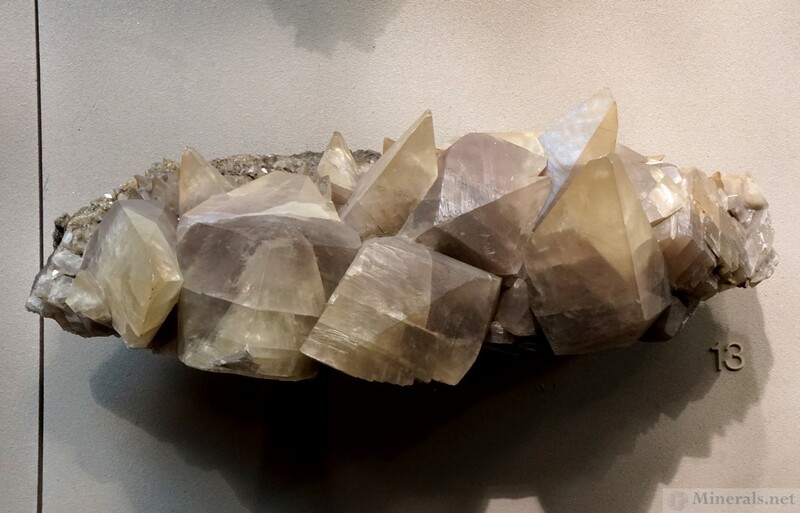 Scolecite Sprays with Stilbite, from Rankhamb Village, Sakur, India. Featured in MinRec. 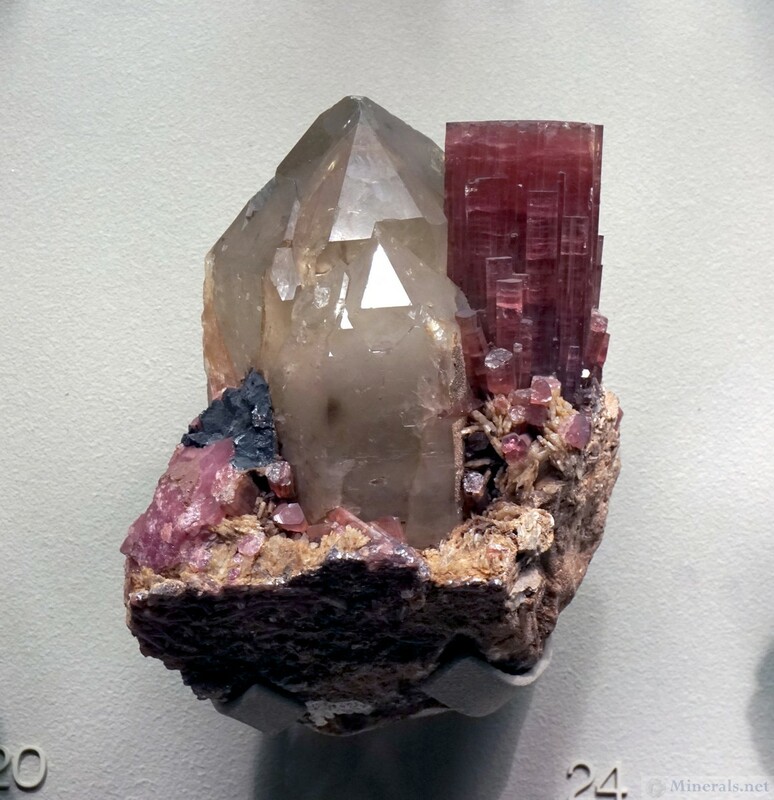 Moore’s Compendium of Mineral Discoveries is an exhaustive guide to documented mineral discoveries of minerals with crystals over one centimeter found since 1960. Completed in 2015 by Tom Moore, an editor for the Mineralogical Record and a prolific writer on mineral subjects, this is arguably the most detailed mineral book compiled in recent times. 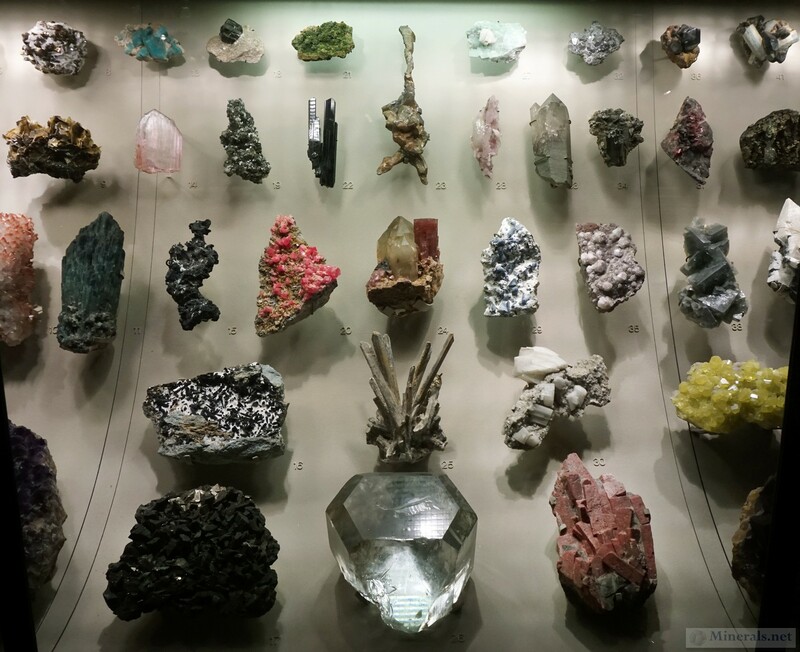 Having an extensive background in the minerals of my native region of New York and New Jersey, I took the opportunity to fill in some missing gaps from my regional area. 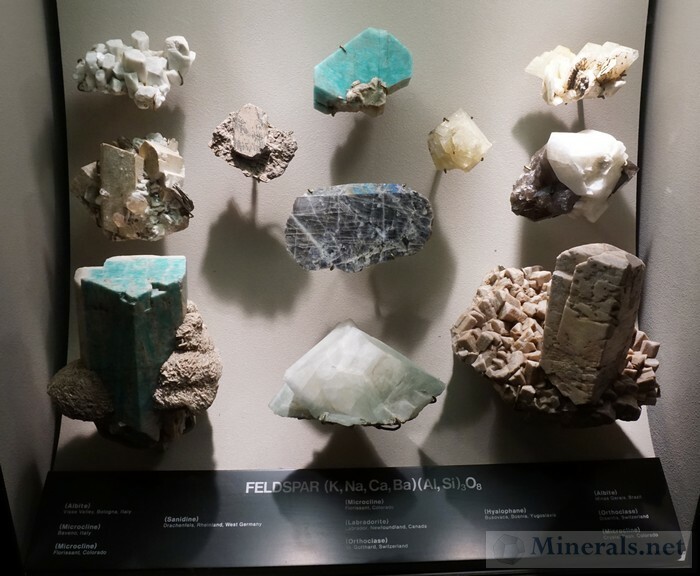 While the compendium was certainly very thorough in this region, there were still many important localities for mineral discoveries that were left out. 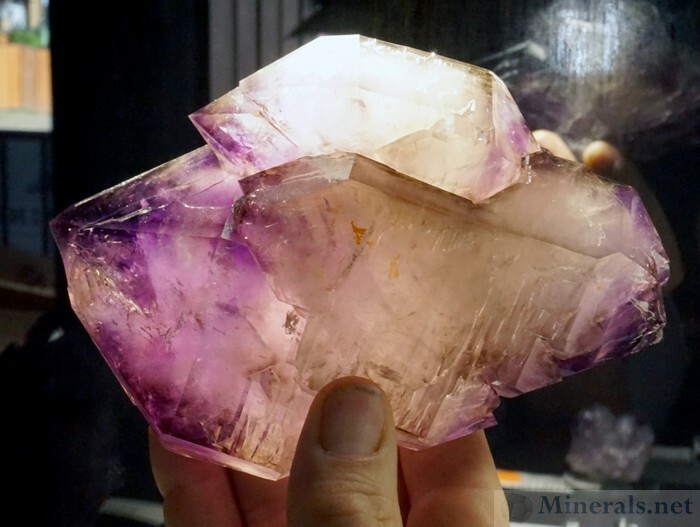 There were also mineral discoveries in this region that were poorly documented, and require insider information from a local collector for a more thorough picture. 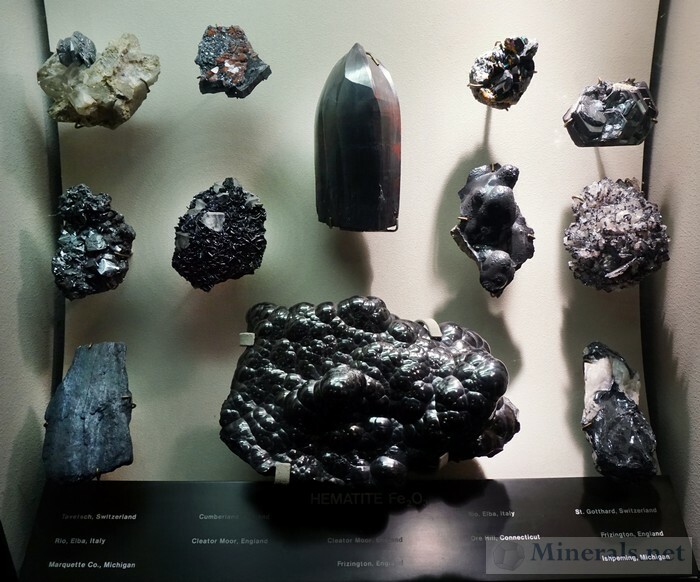 Click this link or the image below to download the document. 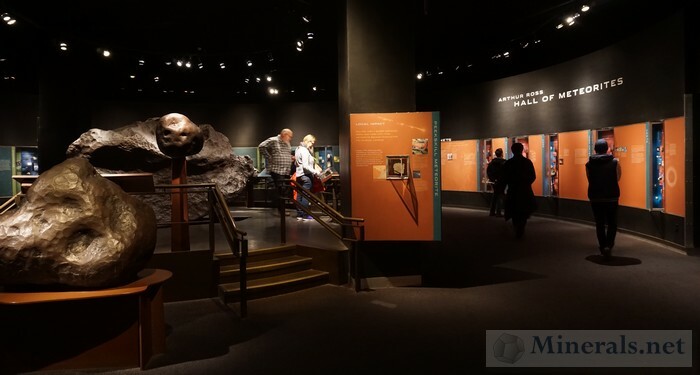 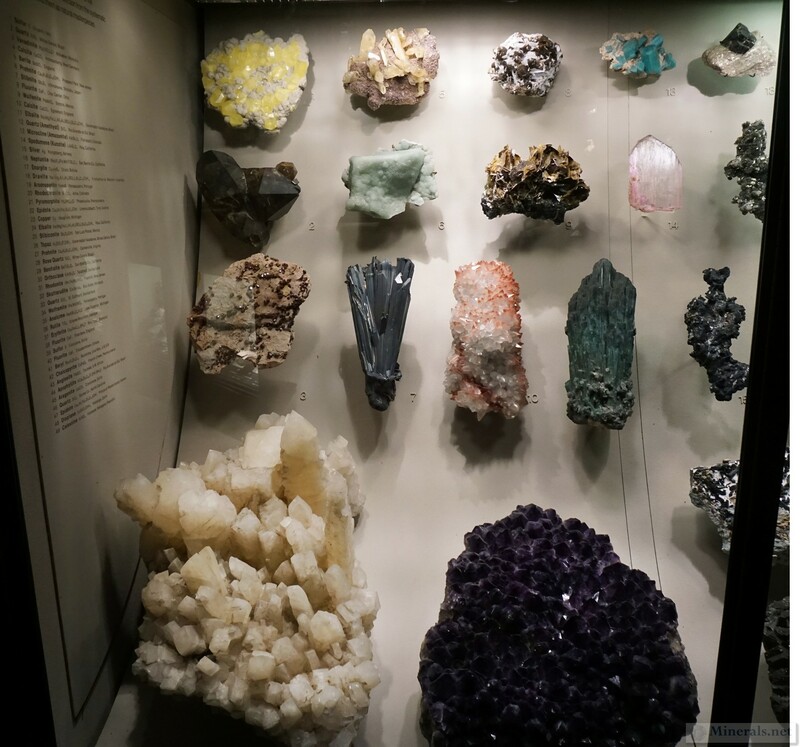 Earlier this year, I visited the American Museum of Natural History in New York to do a museum report on their mineral and gemstone exhibit. This museum is one of the top natural history museums in the world, and contains a very significant mineral and gemstone collection. I grew up fairly close to the museum, and, together with my father, had visited it many times in my youth. 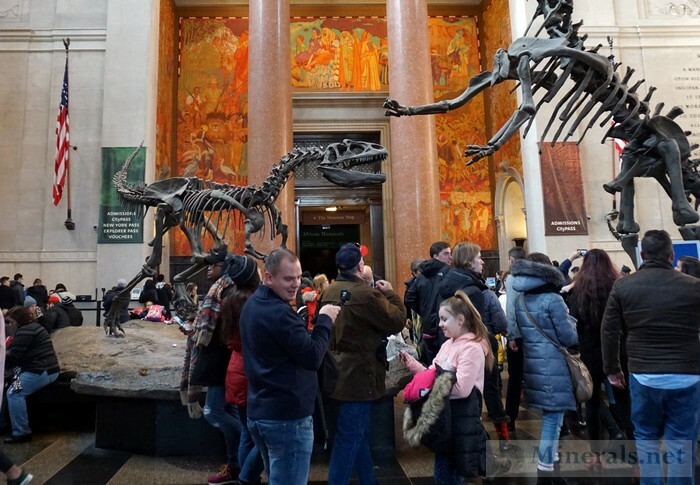 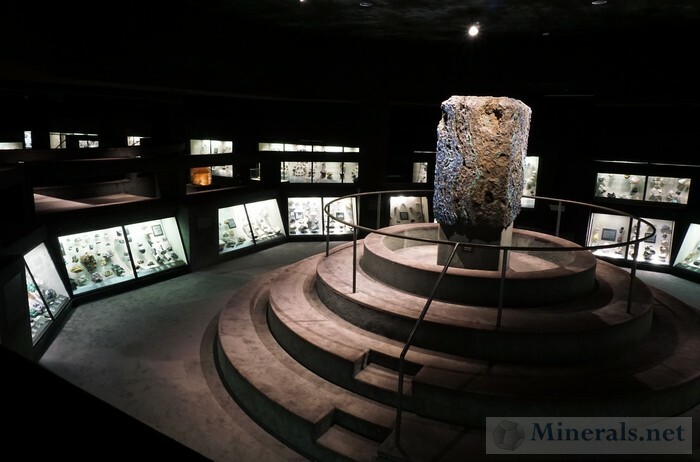 Most of the exhibits, including the dinosaur fossils and replicas which this museum is so famous for, have entirely changed since my childhood days, but the mineral and gemstone hall has remained essentially the same. The museum collection contains many specimens that are the known to be the best of their type. 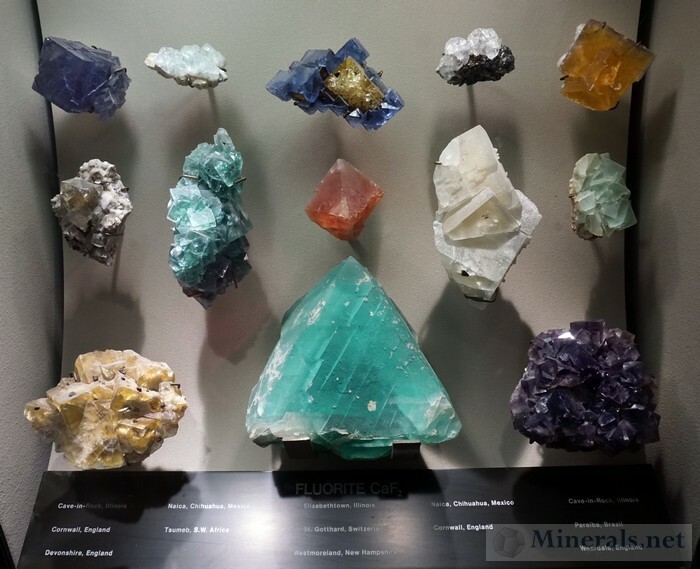 It also contains many iconic minerals and gemstones, such as the Star of India Sapphire, the Newmont Azurite, the Giant Legrandite, the Bisbee Azurite/Malachite boulder, the Patricia Emerald, and the Subway Garnet. 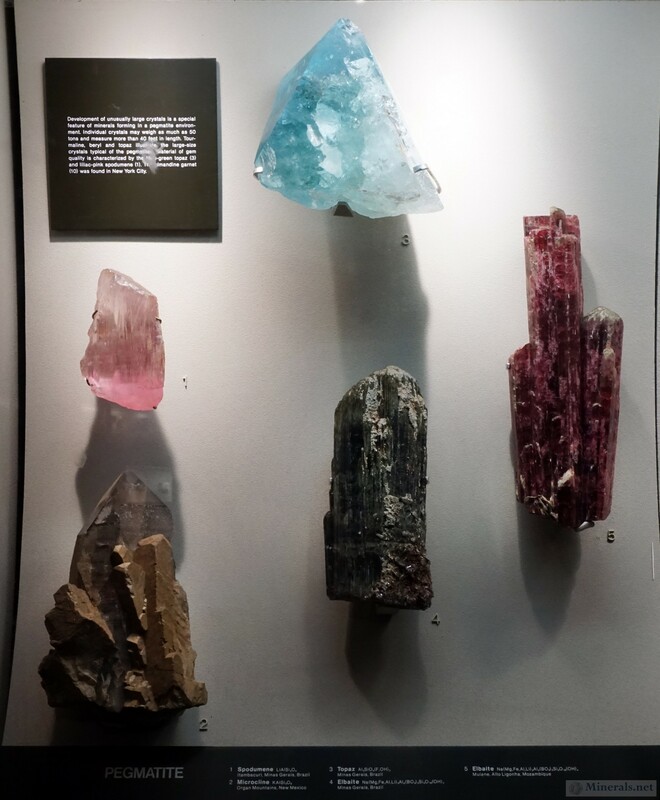 The vast size of the room of the collection is incredible, and there are many different case types and sub-sections, from chemical groups, crystal types, local mineral localities, and the gemstones. 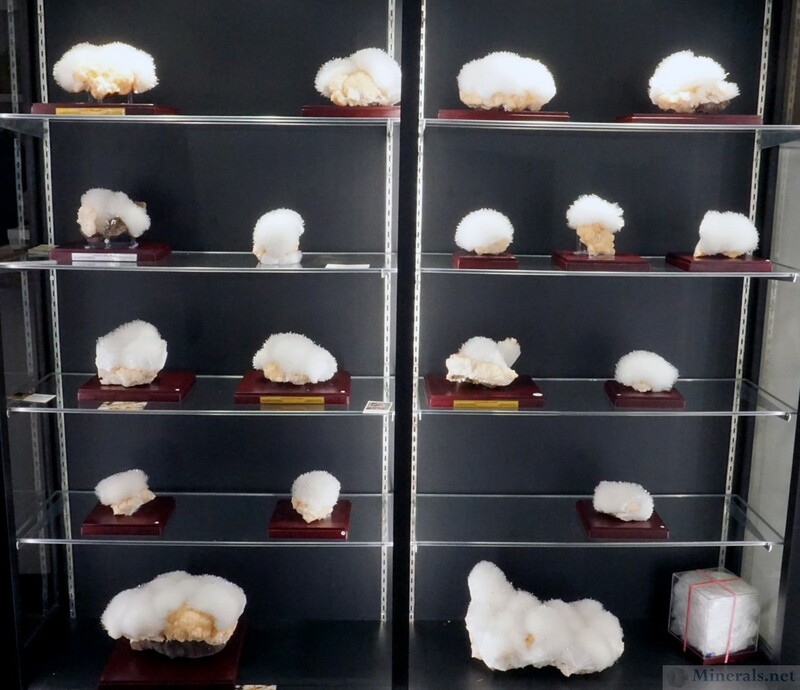 All the specimens are mounted well with informative labels and proper detail. 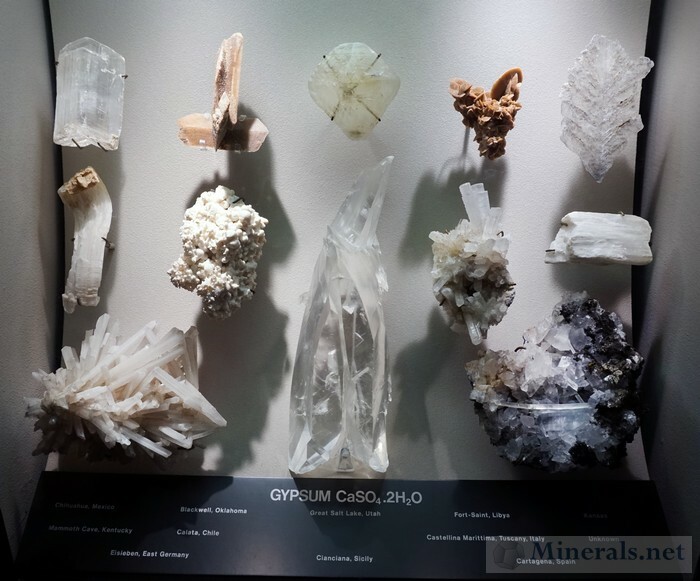 Despite this, the mineral and gemstone halls looks like they are still stuck in the 1970's, with outdated designs, dim lighting, and brownish-gray carpeting everywhere reminiscent of that era. 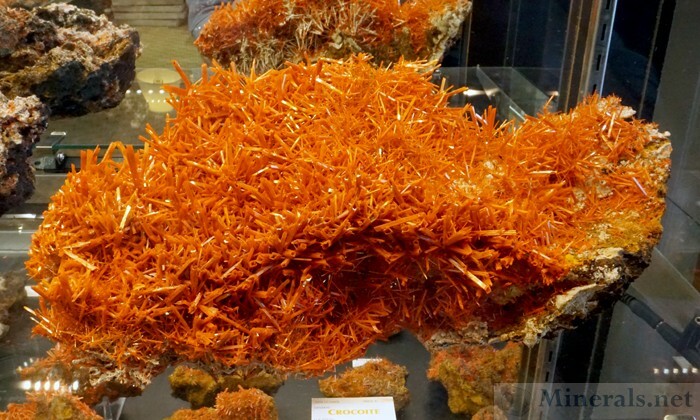 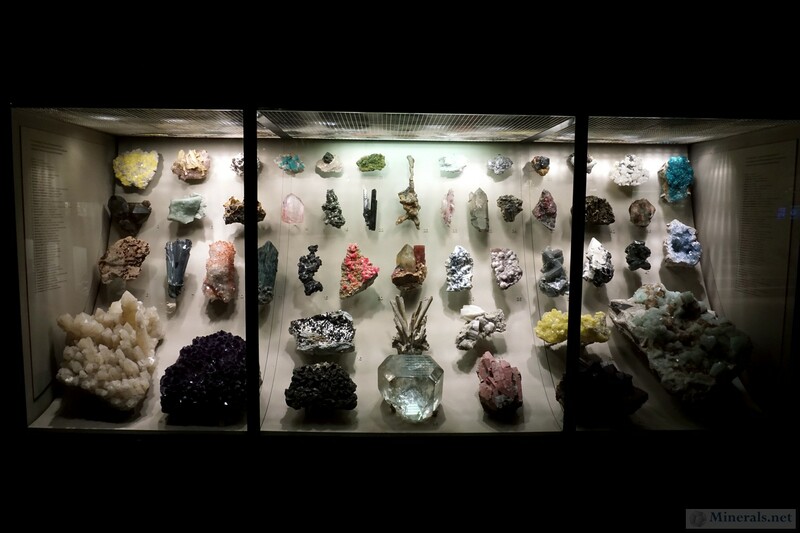 It is surprising that this museum, containing one of the most notable mineral collections in the world, is so dated. 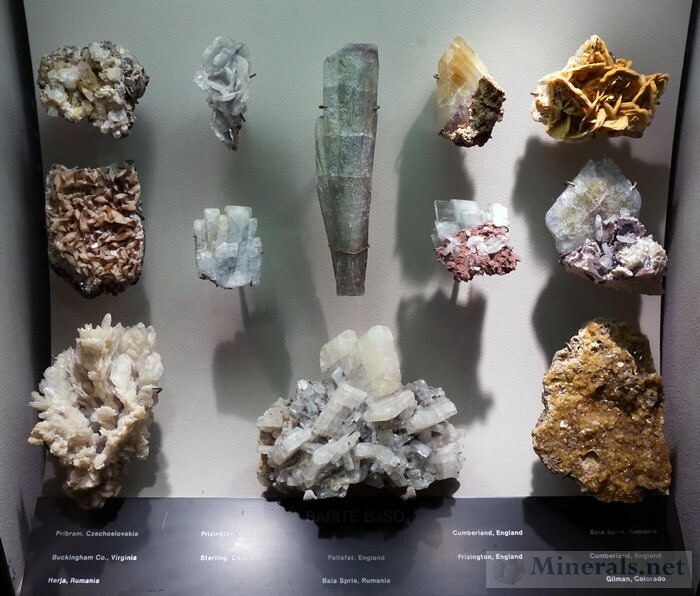 However, the museum has announced plans to completely revamp the mineral and gemstone hall with a brand new and modern look and feel. 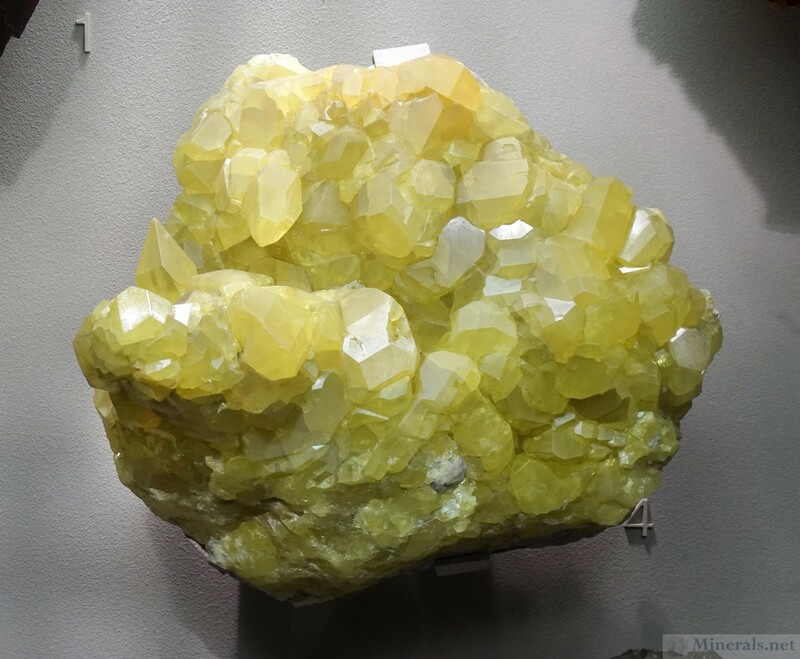 The current mineral and gemstone hall has just been closed this past week, on October 26. 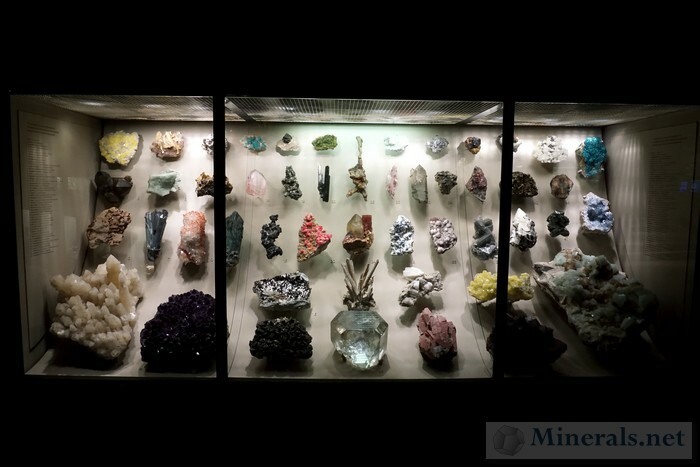 It will be reopened as an entirely new exhibit in 2019 as the Allison and Roberto Mignone Halls of Gems and Minerals. 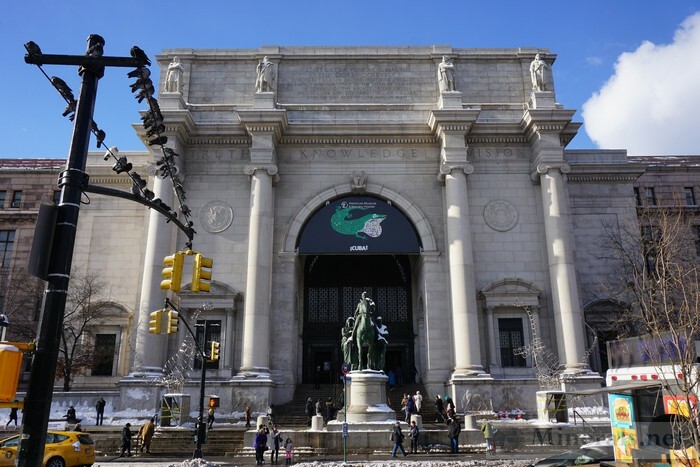 This opening event will be in conjunction with the museum celebrating its 150th anniversary. 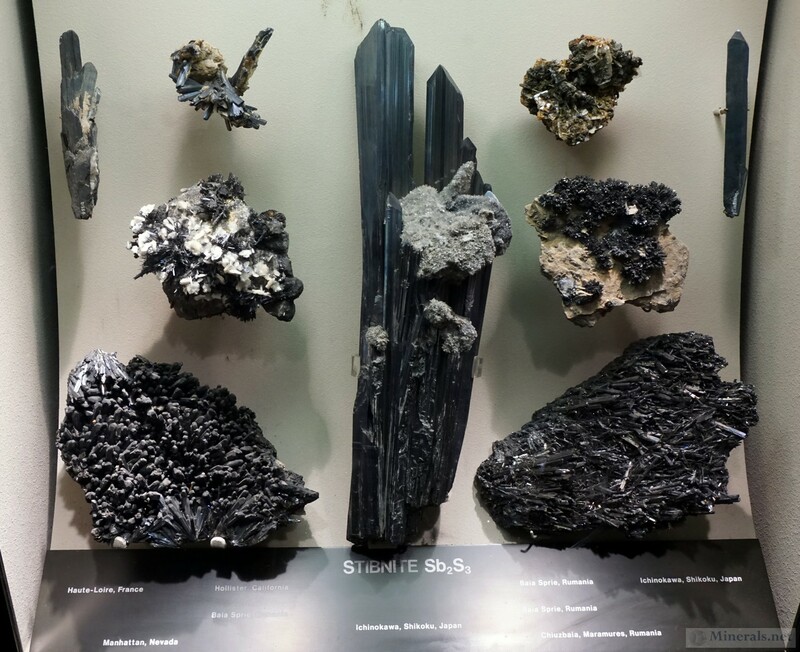 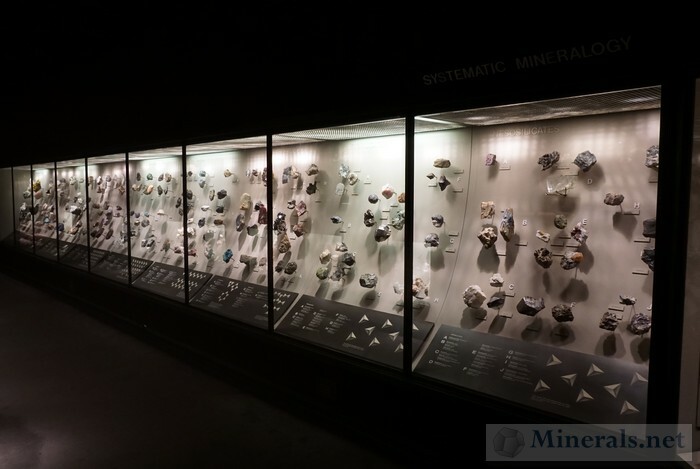 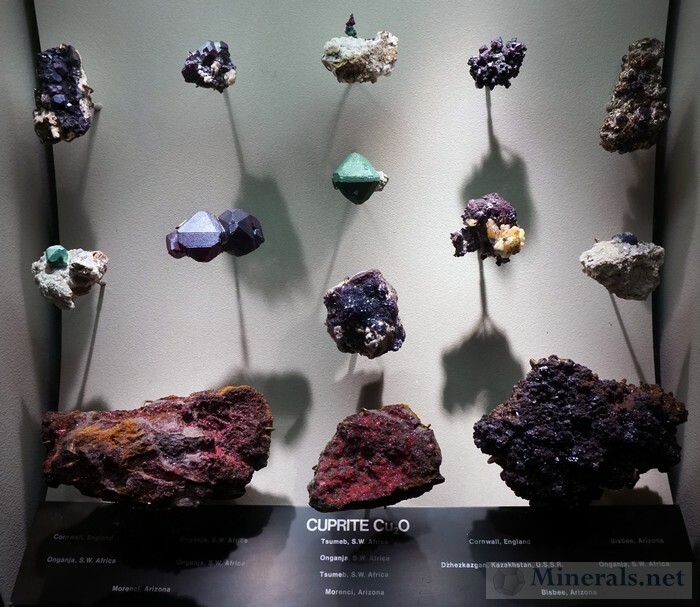 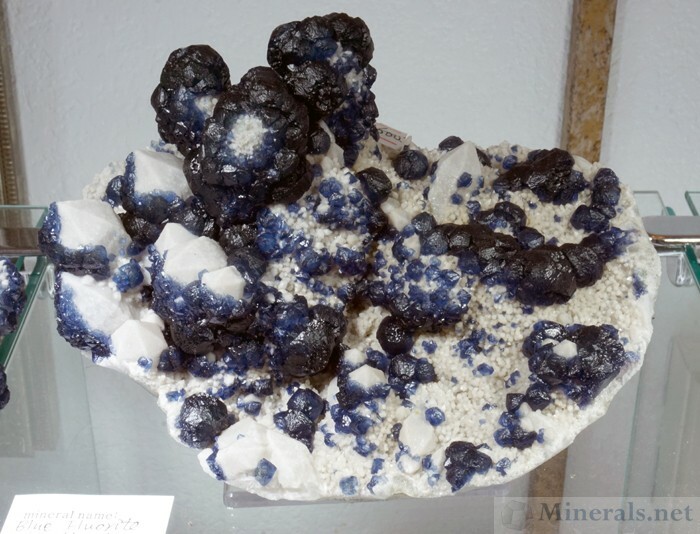 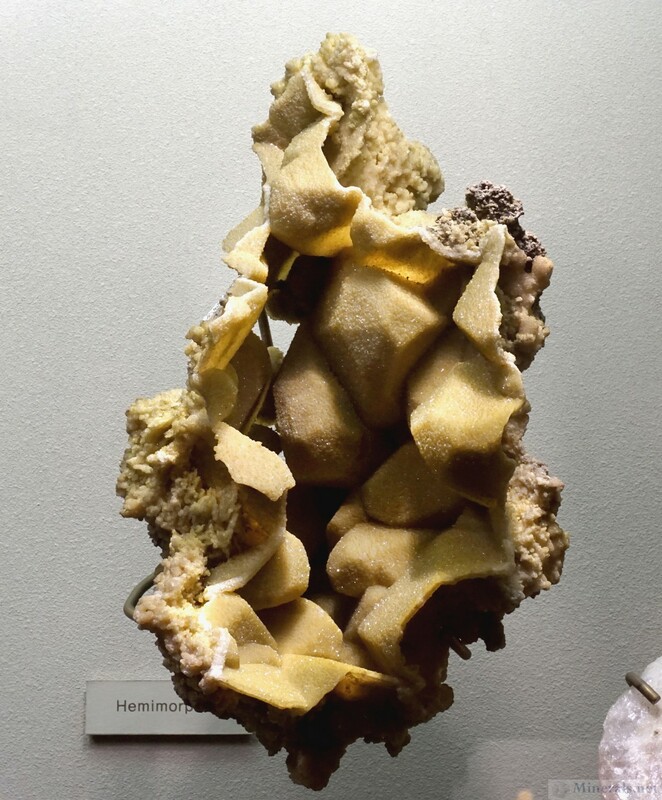 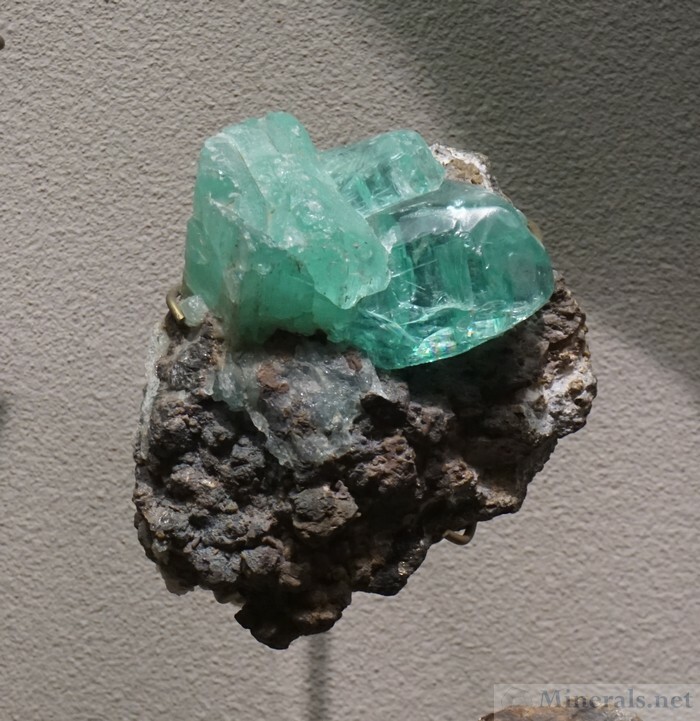 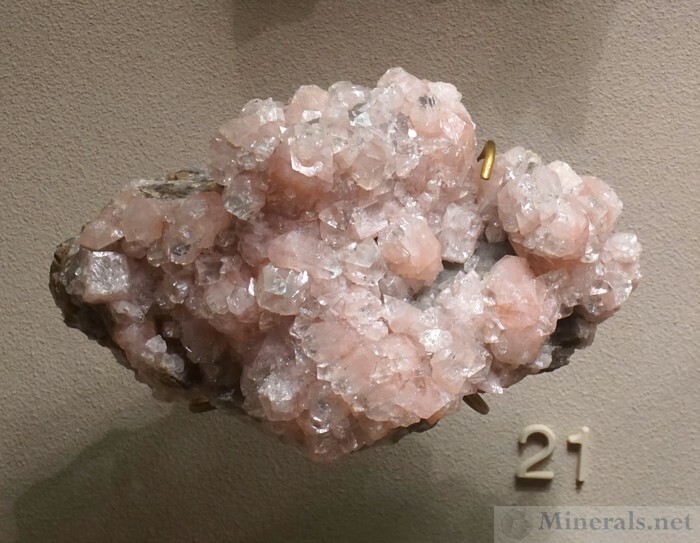 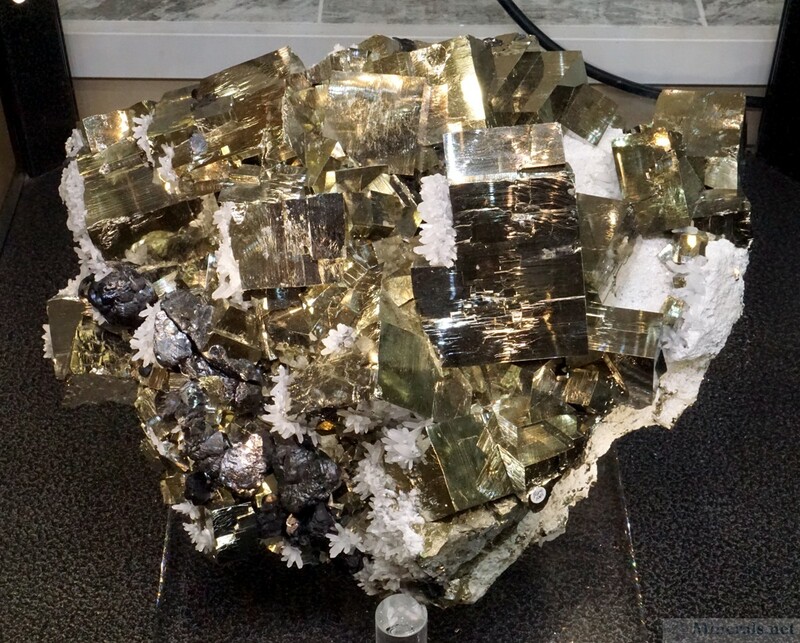 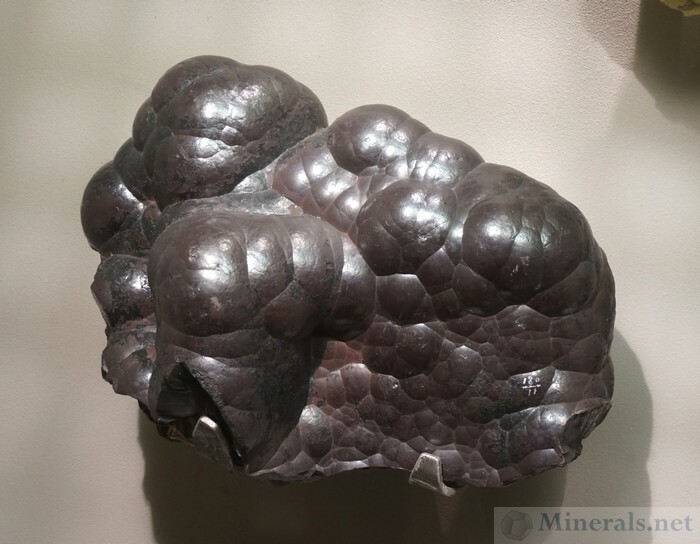 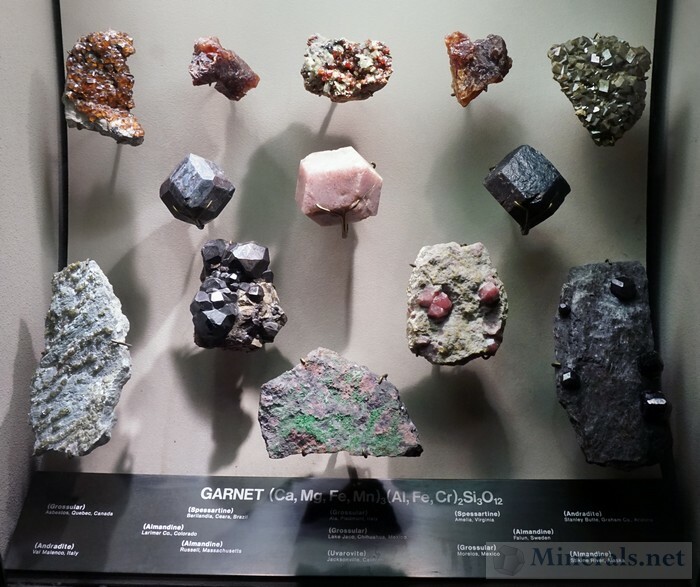 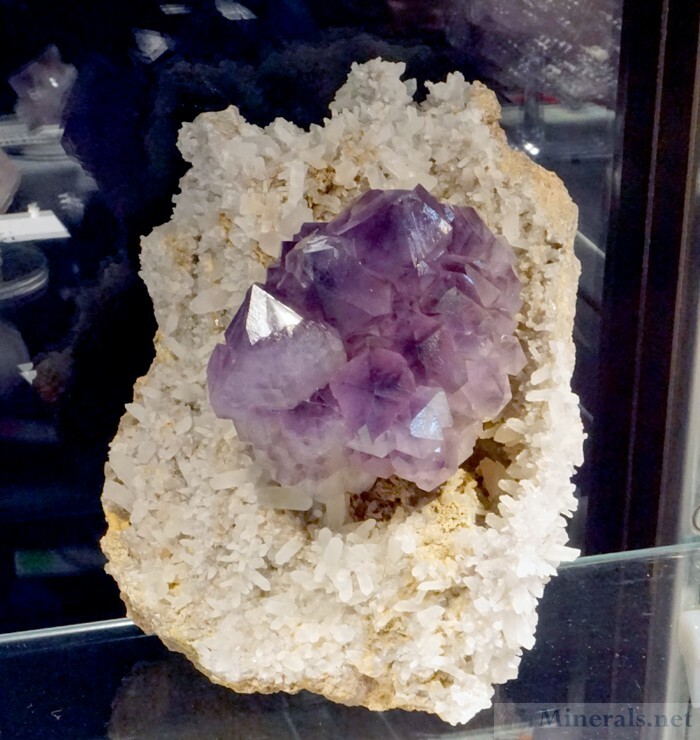 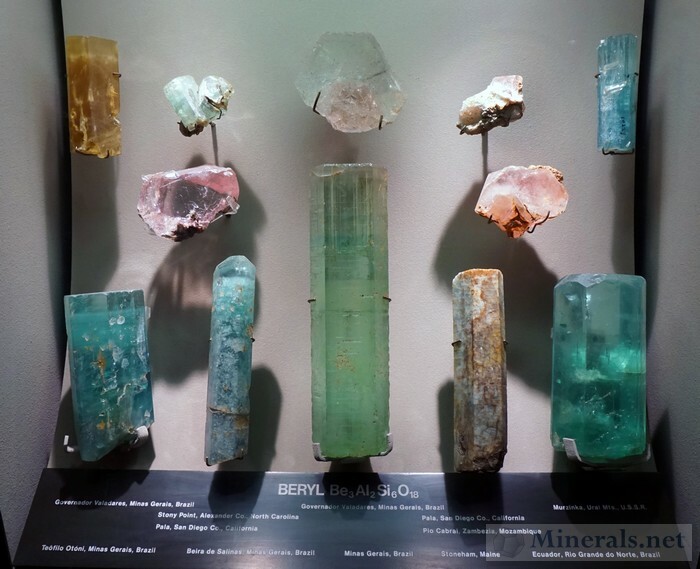 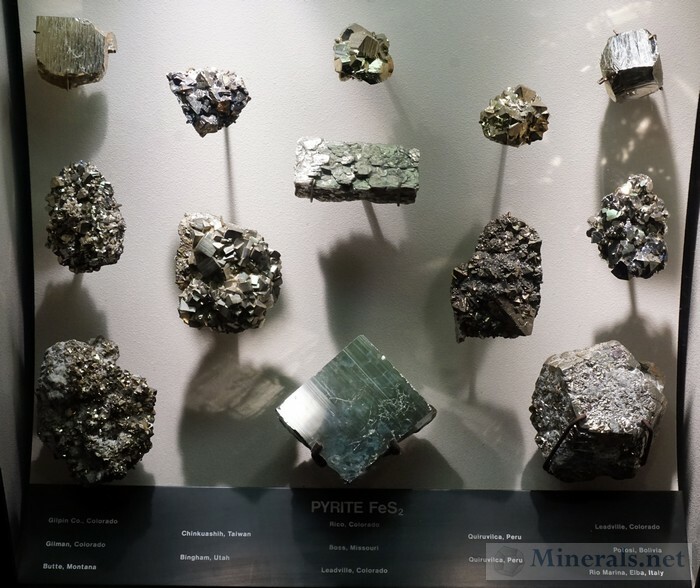 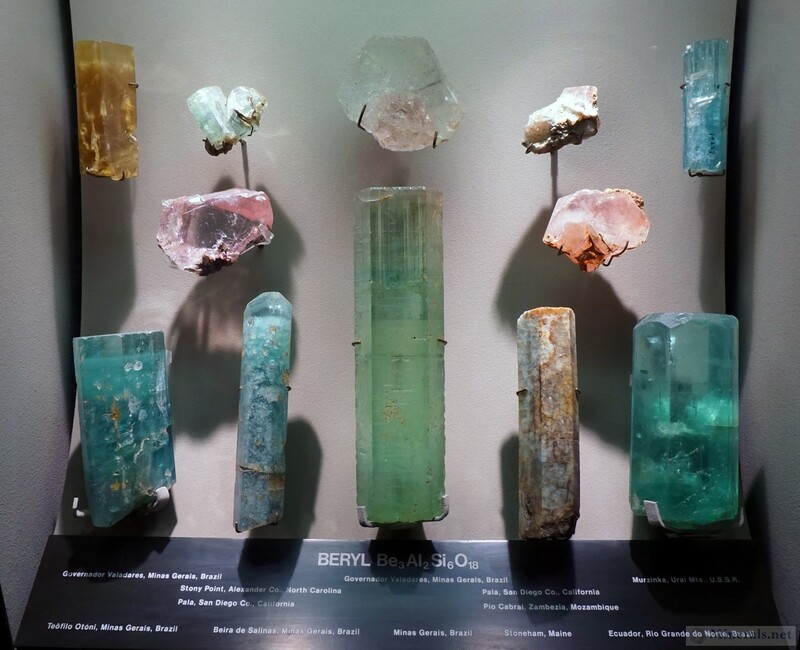 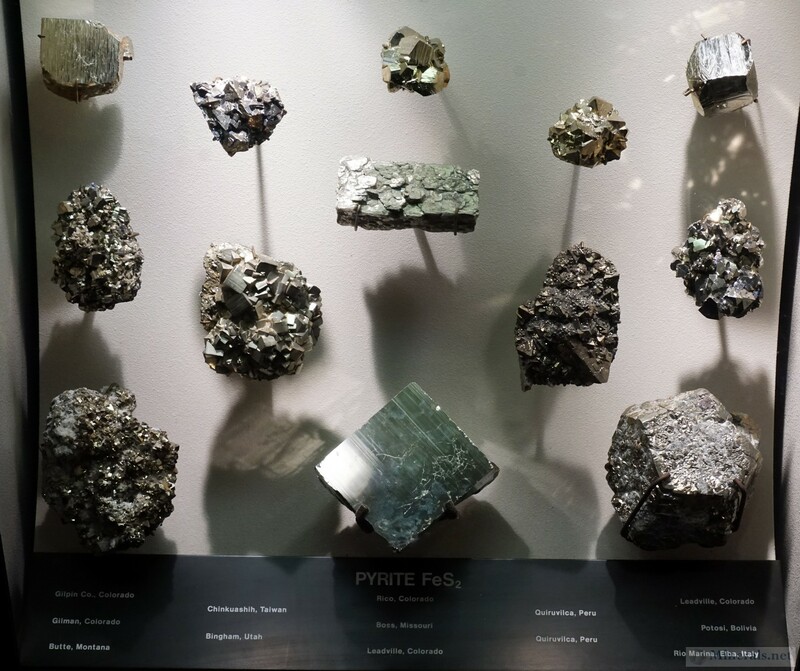 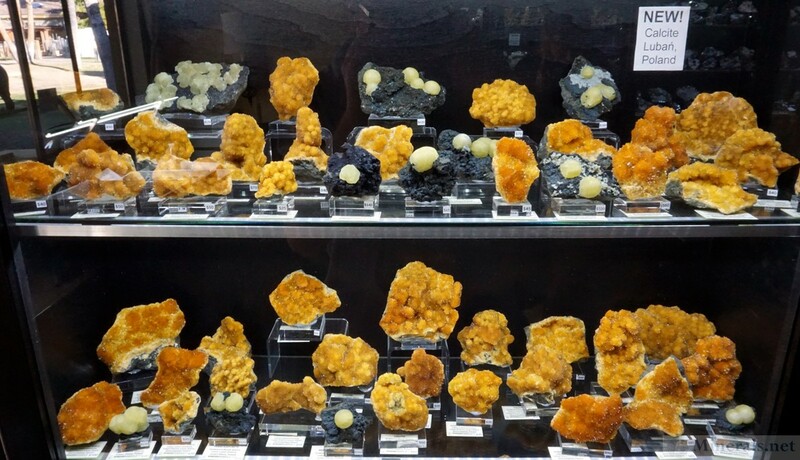 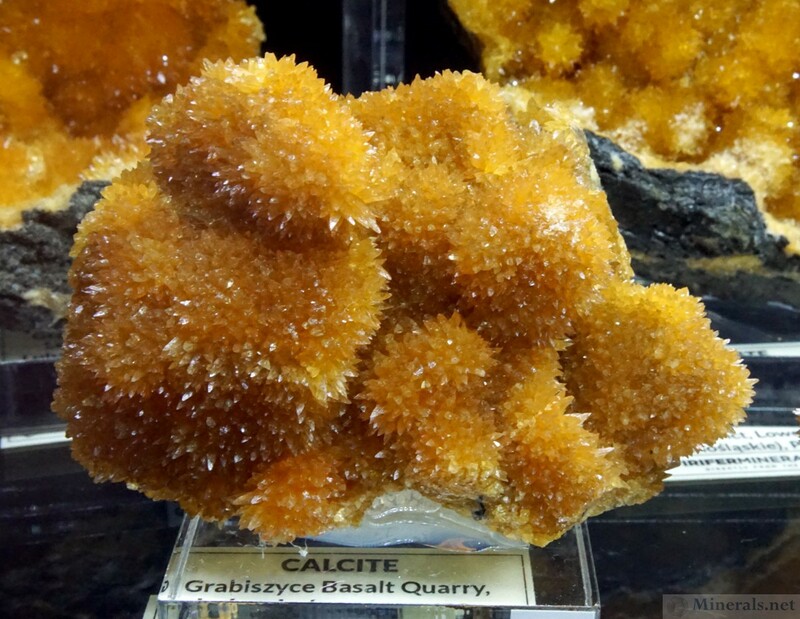 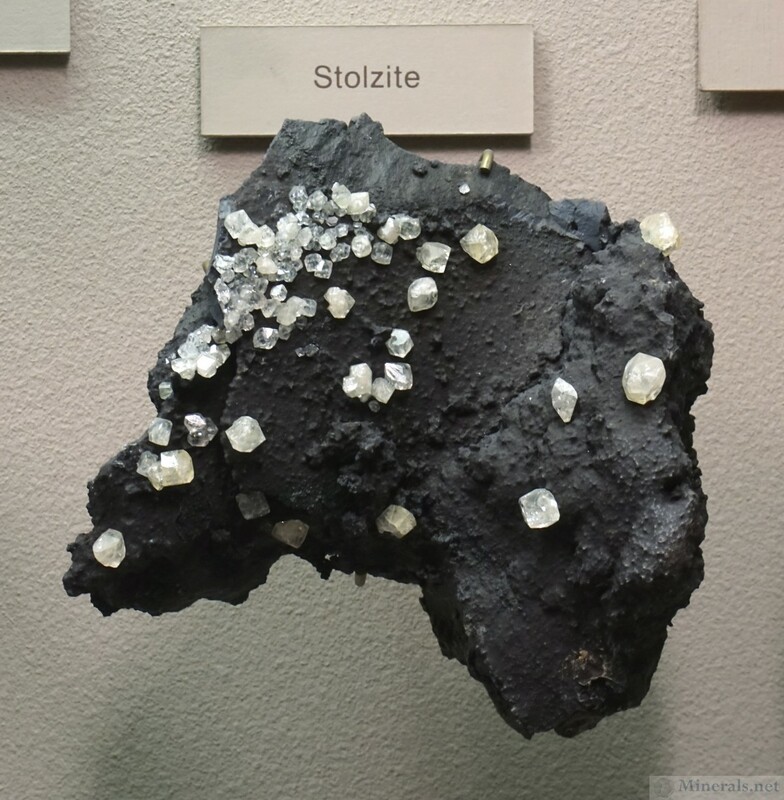 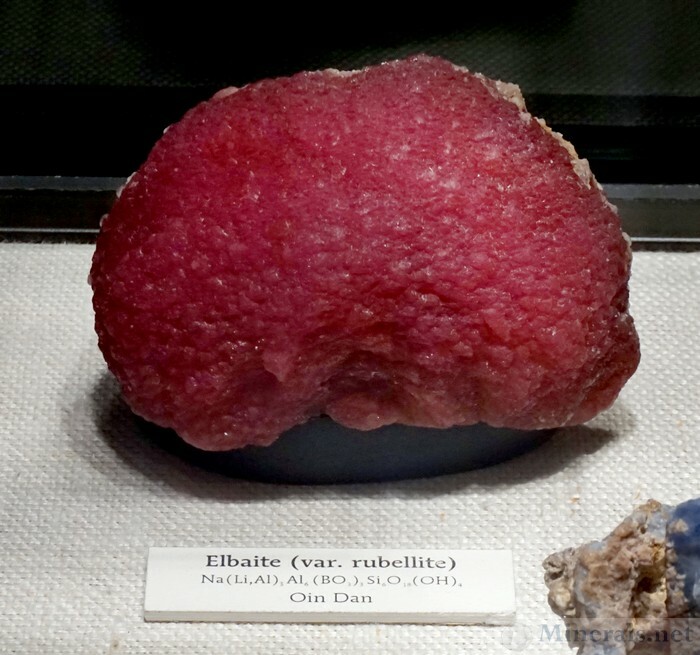 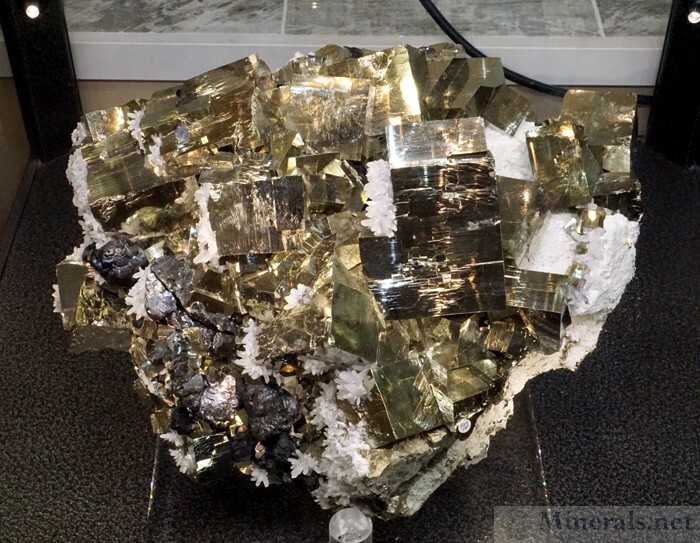 This post features some of the display cases within the Museum of Natural History mineral exhibit hall. 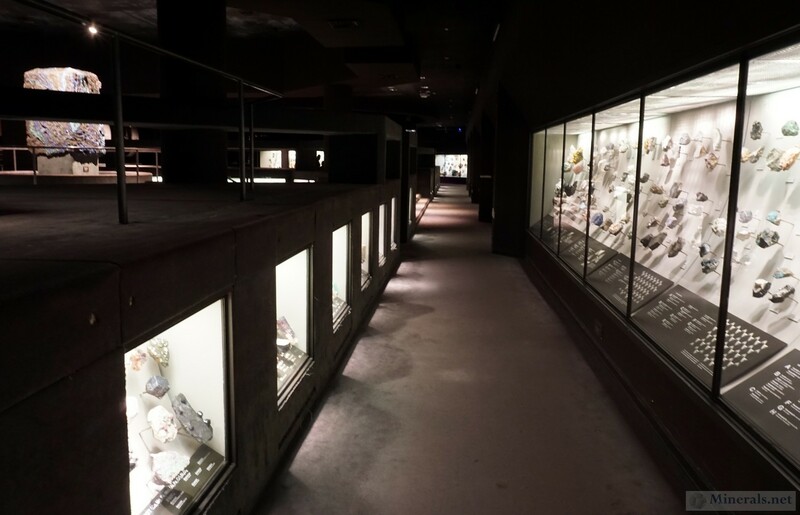 The museum has a large selection of different displays, which have various themes. 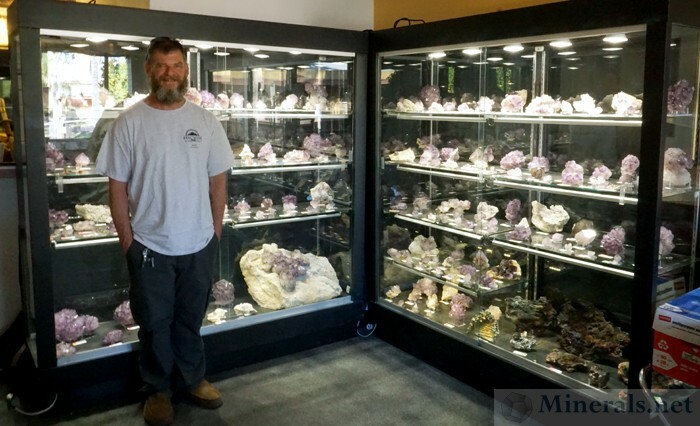 This post features our selection of some of these display cases. 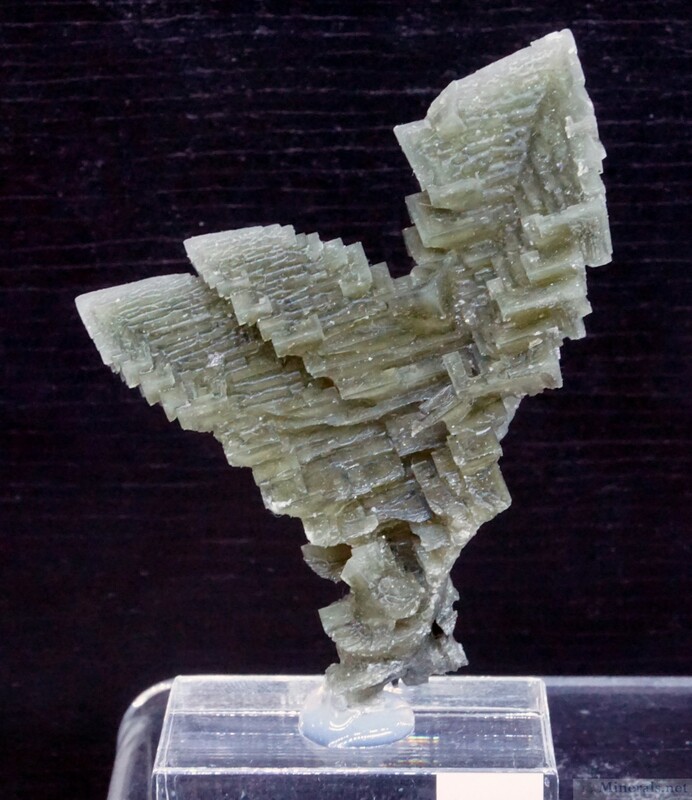 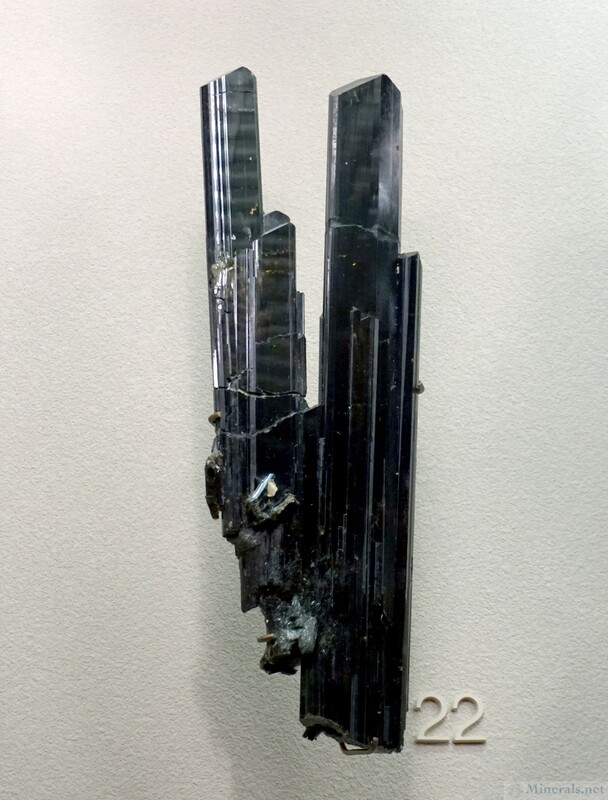 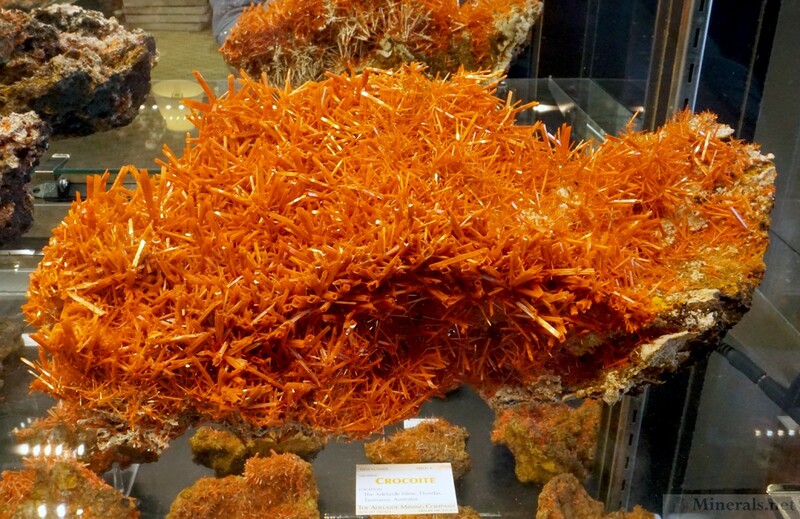 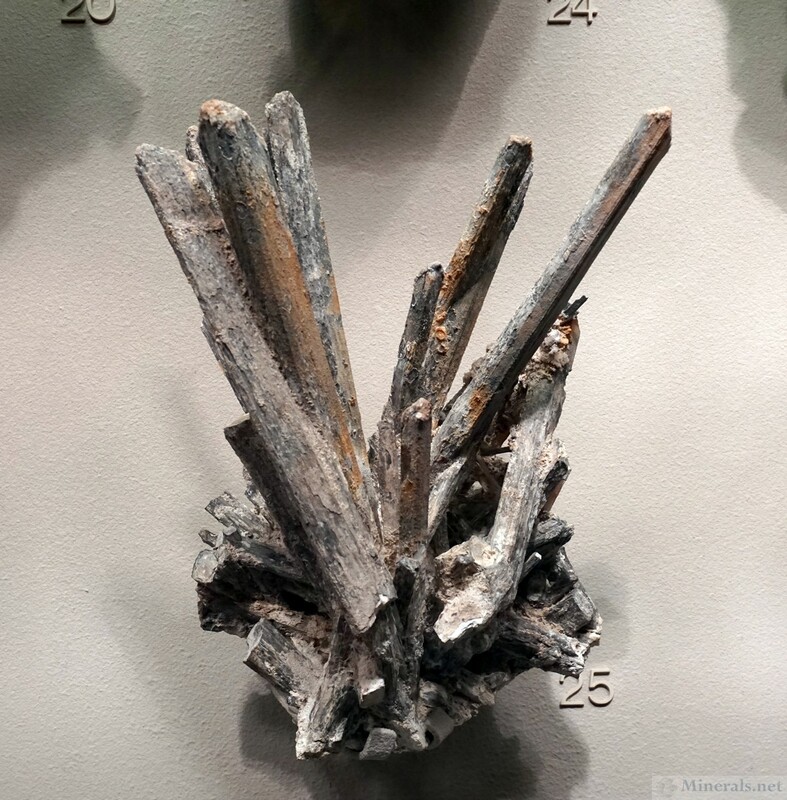 The American Museum of Natural History is known for many of its iconic minerals in its collection. 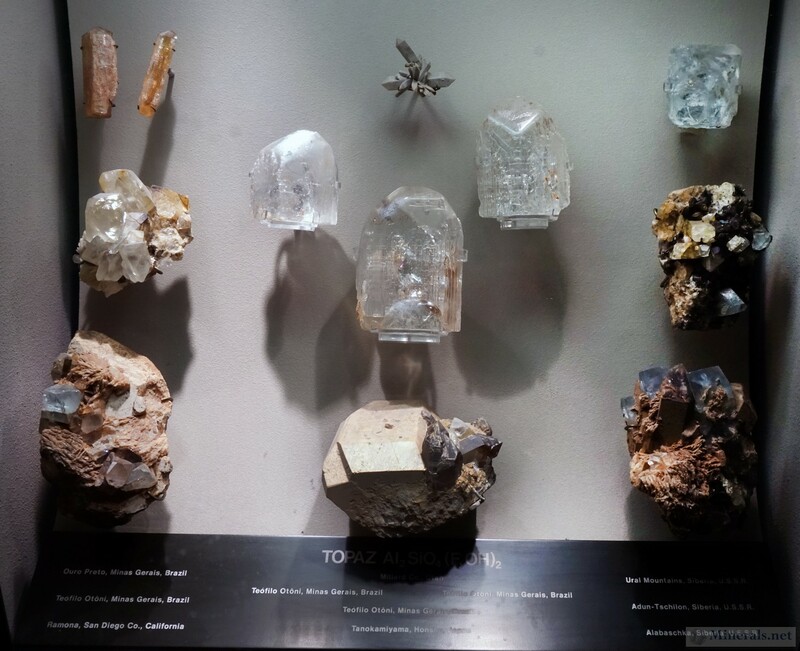 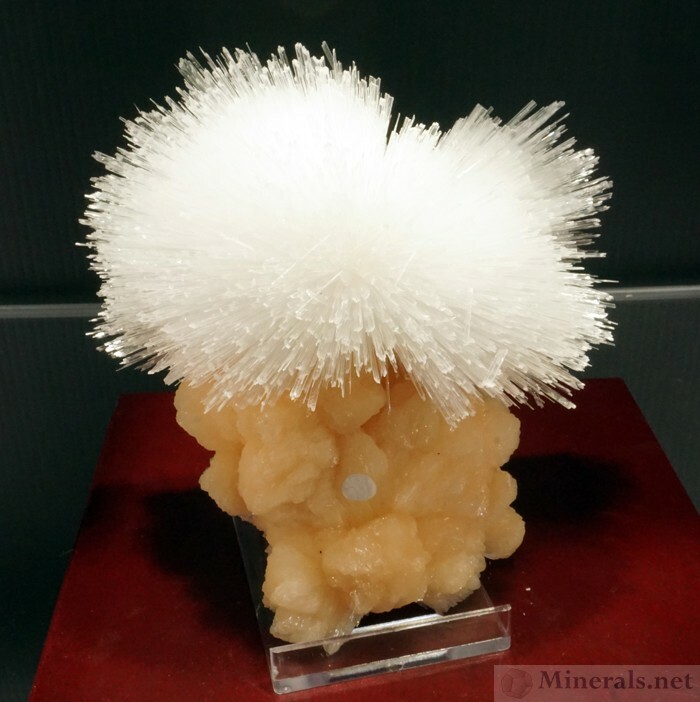 I captured in photographs some important specimens of the collection in these next two posts, which feature individual minerals on display. 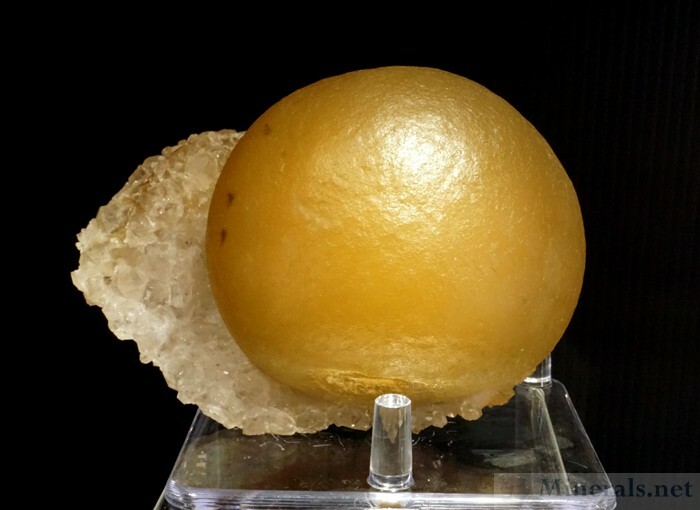 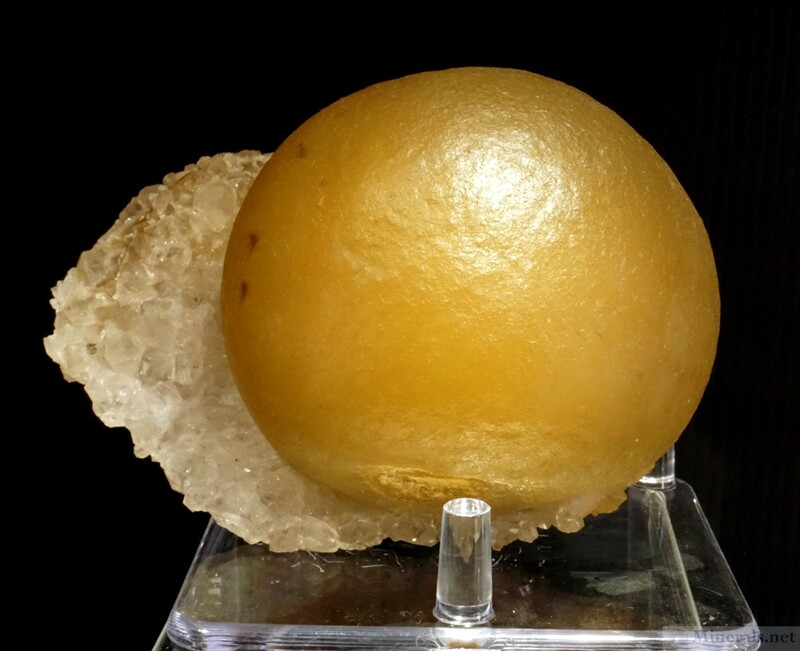 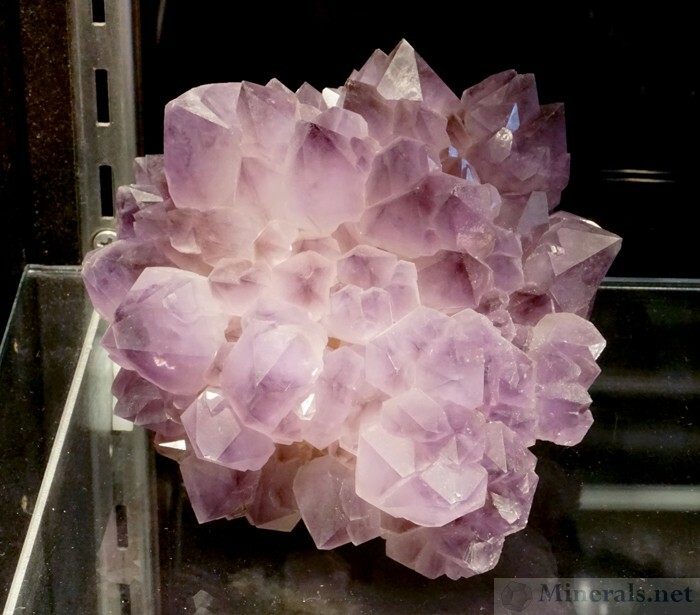 I chose some of the museum's famous mineral specimens, as well as those that are highly photogenic or historically significant. 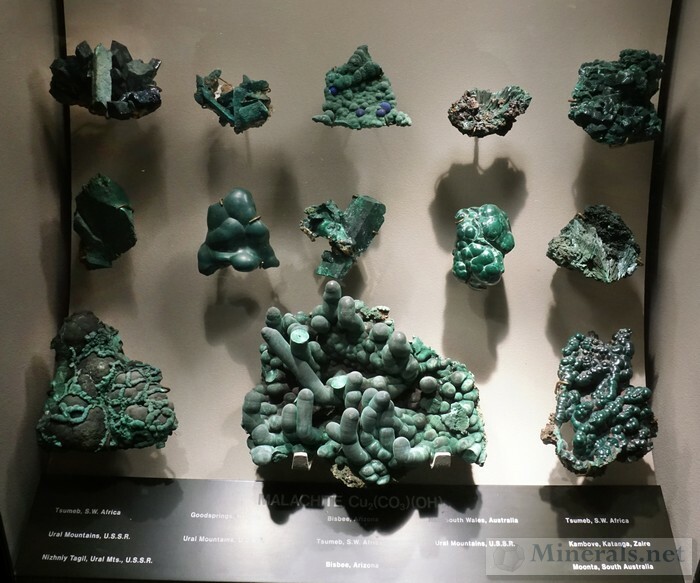 Unfortunately, I was not able to get a good photograph of the Newmont Azurite. 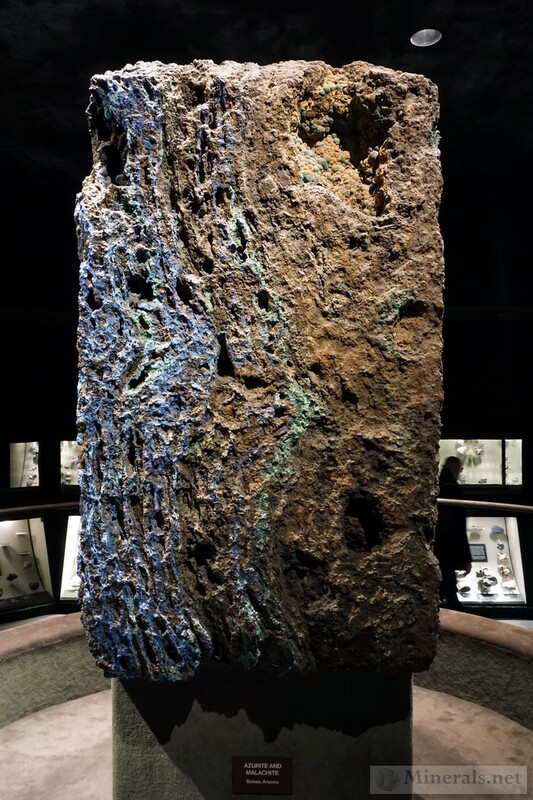 This specimen, a giant Azurite from Bisbee, Arizona, is among the most famous minerals of the collection (and the world). 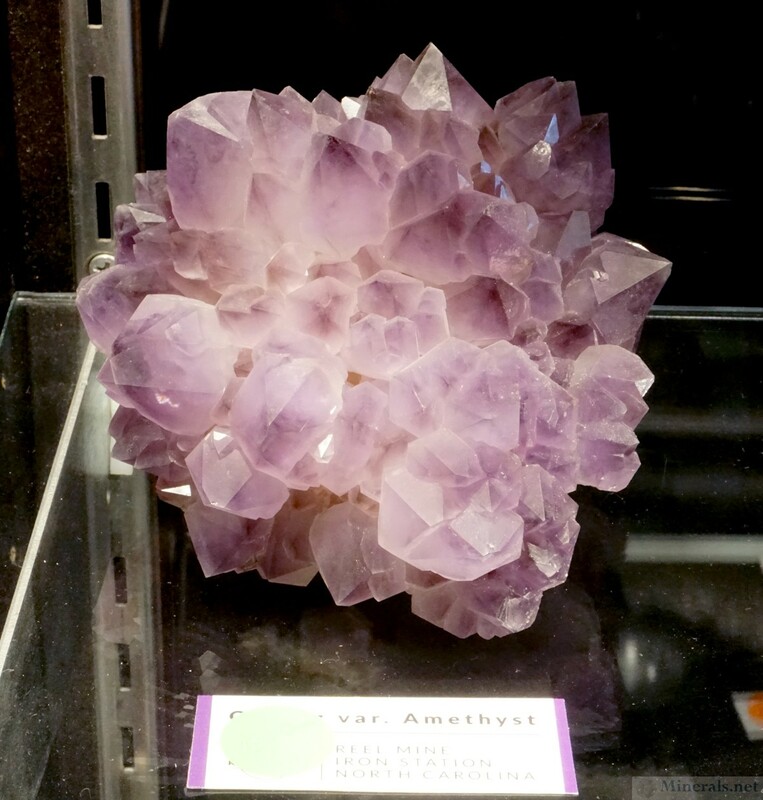 While exceptionally aesthetic, it is very hard to capture on camera from within its display case. Another famous mineral I did not see is the Subway Garnet, a very large, well-formed Almandine Garnet found in 1885 in Midtown Manhattan during a sewer excavation. 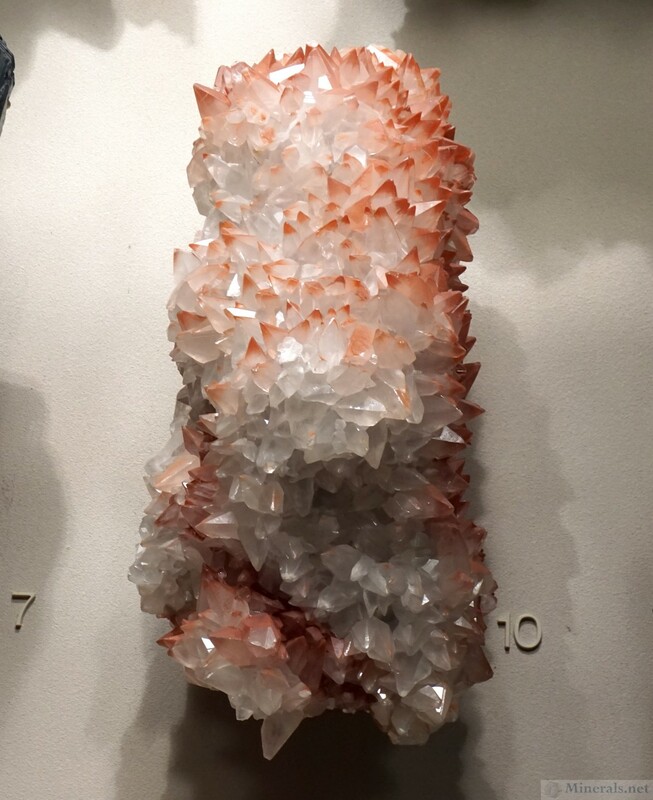 This mineral is not on display but in the museum's repository, and I was therefore unable to see it. 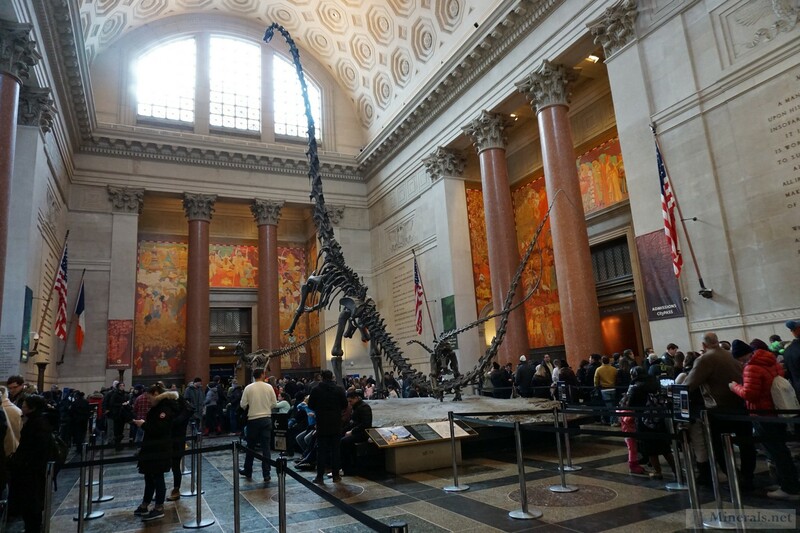 However, I was happy to hear that it will be showcased on display when the museum completes its current renovation, scheduled for 2020. 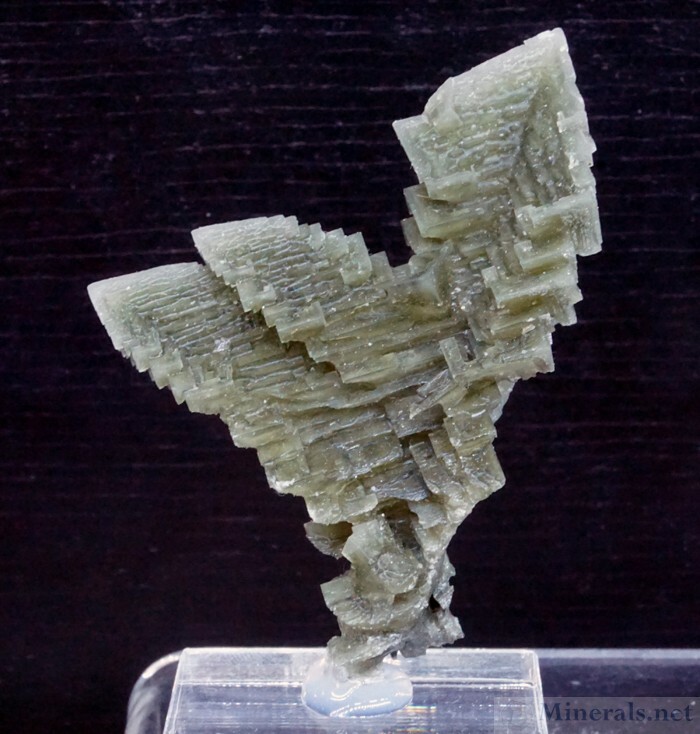 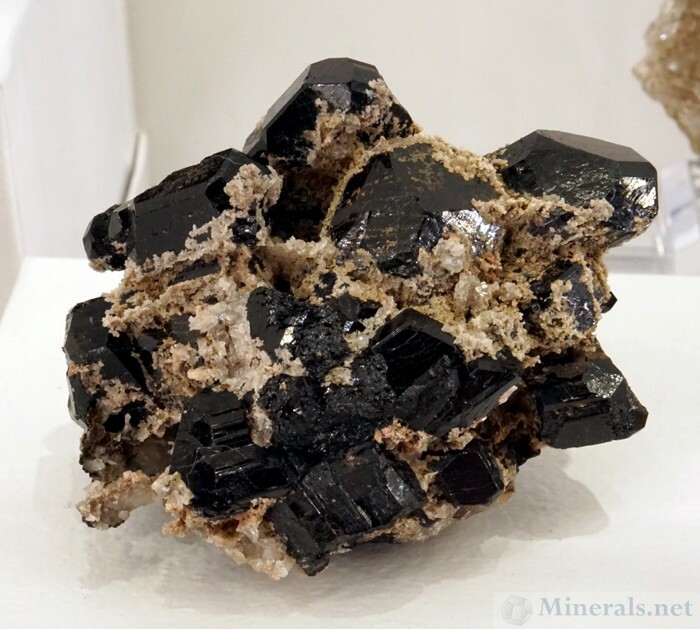 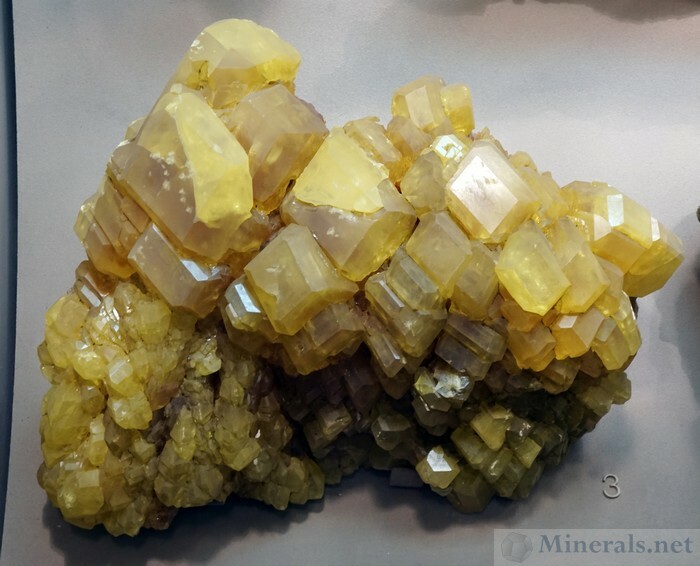 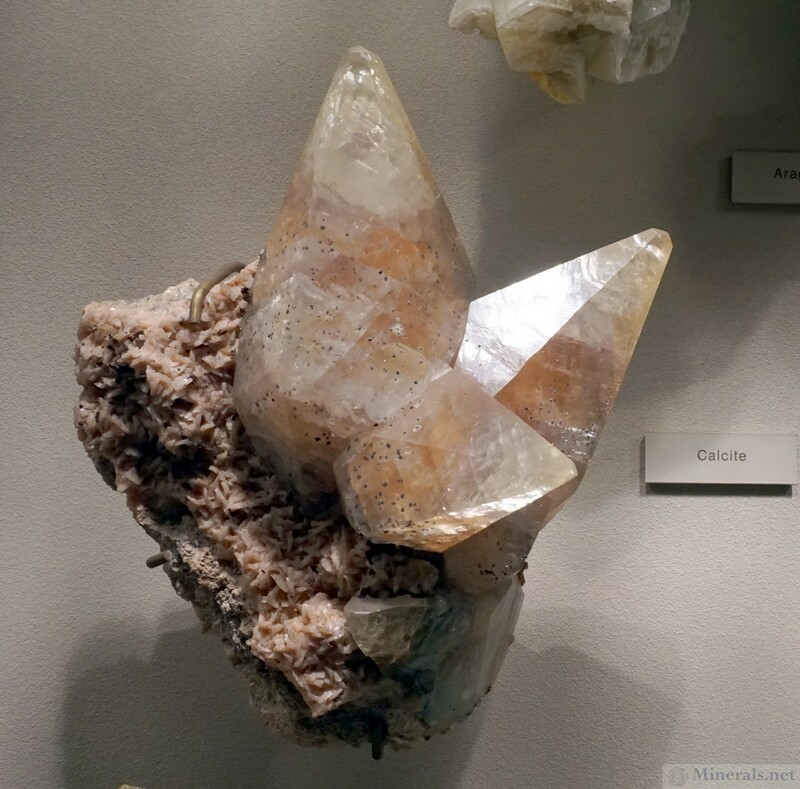 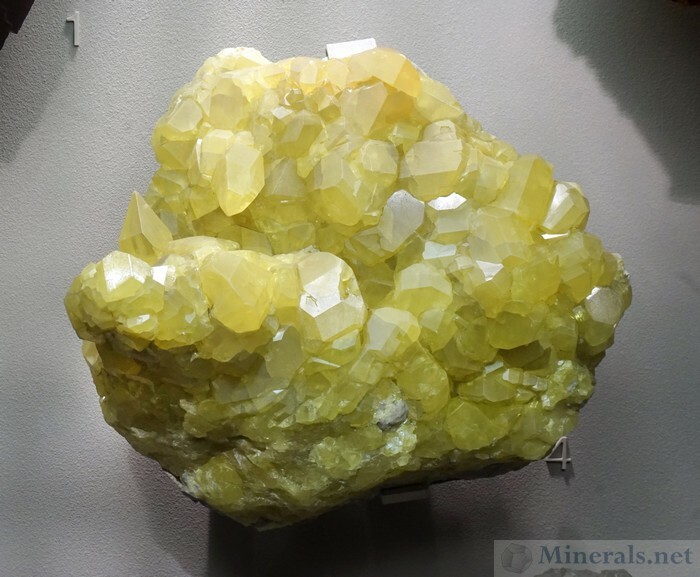 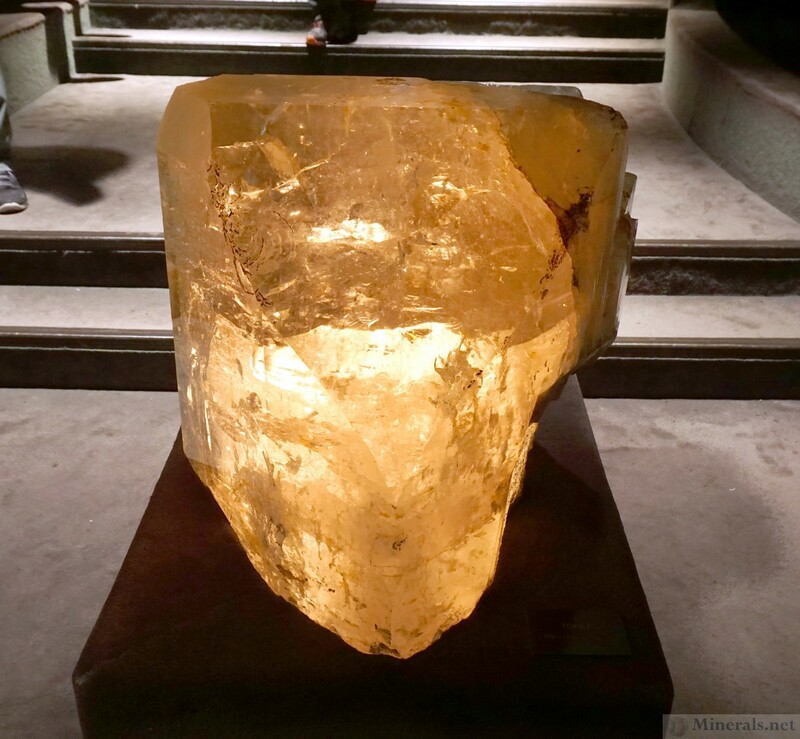 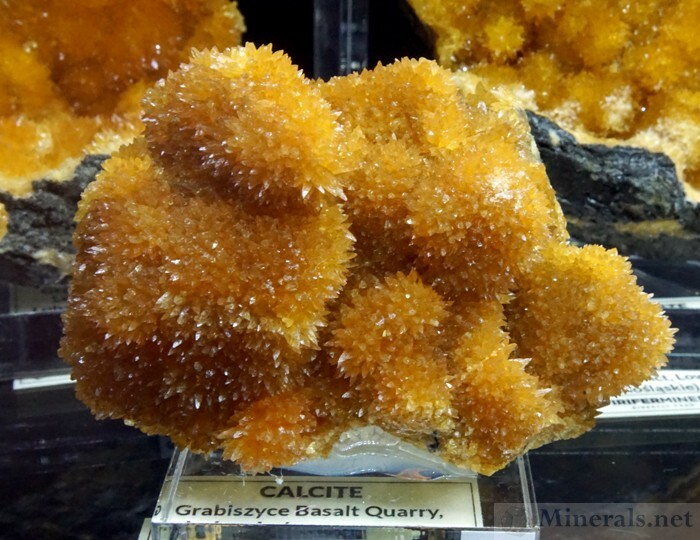 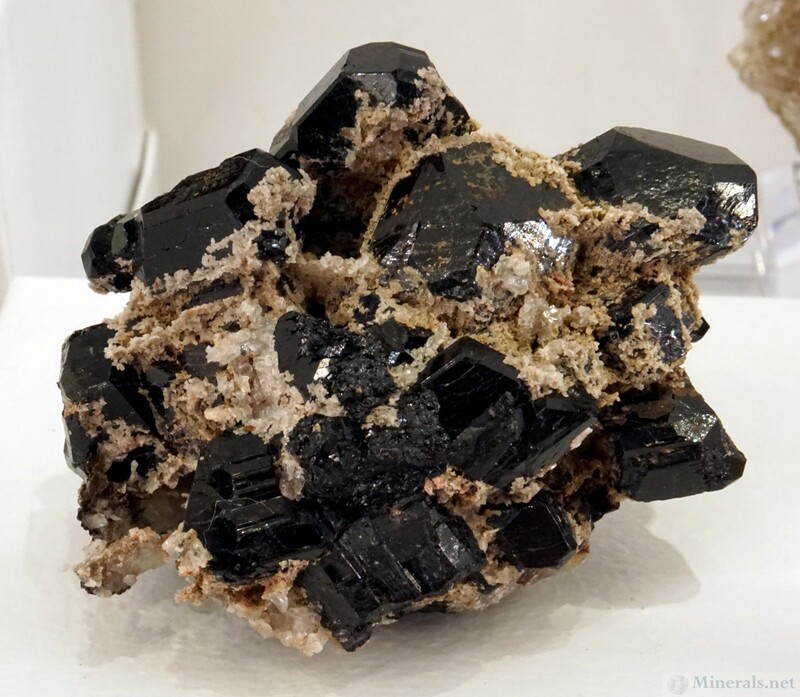 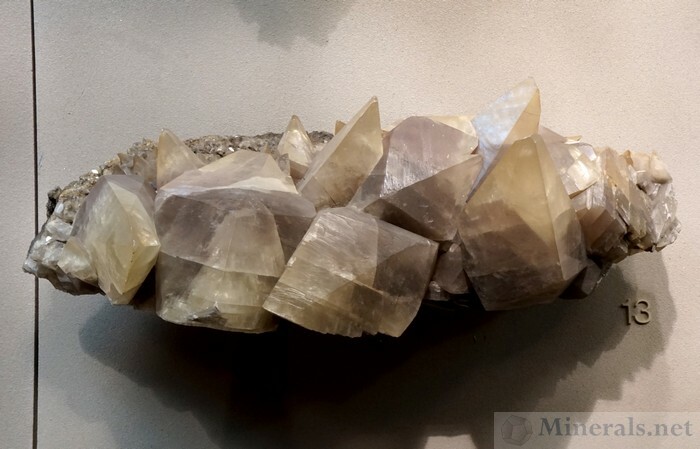 Despite missing some key mineral specimens, I was able to capture many other important specimens, and feature them in this and the following post.